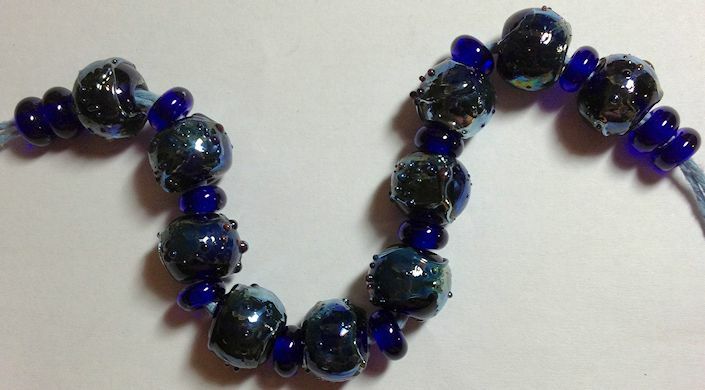 Triton silver glass shards on transparent blue with Psyche frit. Canyon De Chelly base bead covered with silver foil and Psyche frit. Reminds me of moonrocks. Stone Ground base bead with raku frit. Not every exciting….